Apple just announced an updated iPad mini 4 with a slimmer profile, lighter weight, and higher-performance internal components. 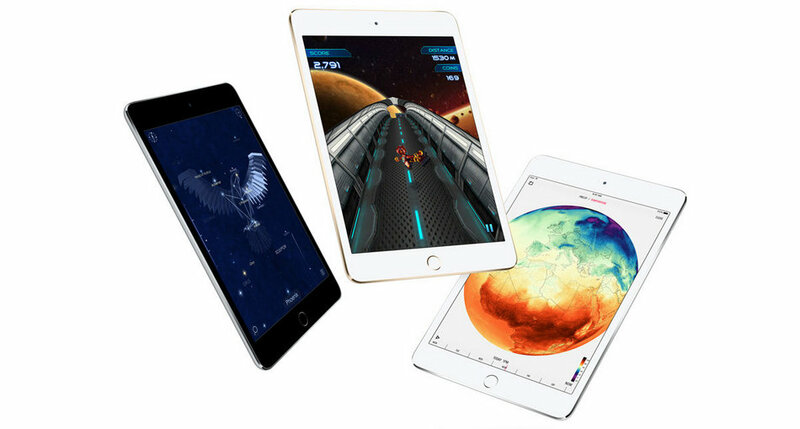 If you have a plan to purchase the new iPad mini 4 and are wondering how to transfer your favorite songs, apps, movies, ebooks and other data from your old iPad to the new iPad mini 4, then please do not miss this guide. In this article, we will introduce you the constructive solutions to do the iPad to iPad file transfer. In this iPad to iPad transfer tutorial, we will show you the non-Apple way to transfer data from old iPad to your brand new iPad mini 4 via Syncios iPad Transfer. With the help of Syncios iPad Transfer tool, you can easily transfer files from old iPad to the new iPad mini 4 with one click. Now, let's check the tips for iPad to iPad file transfer. 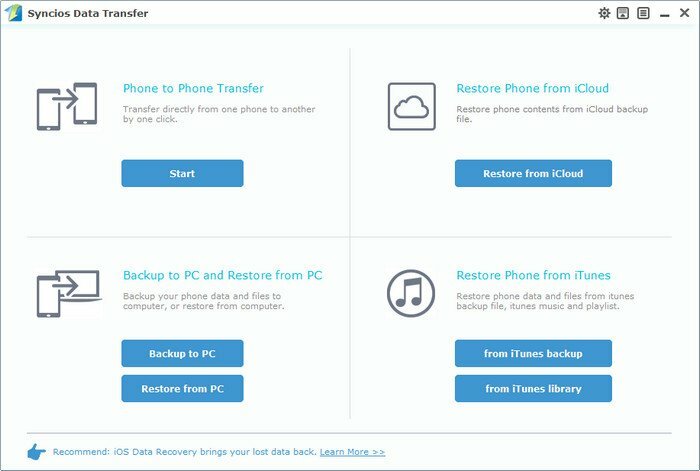 For Apple usres, iTunes and iCloud are the most common way to do the iPhone/iPad/iPod data transfer. 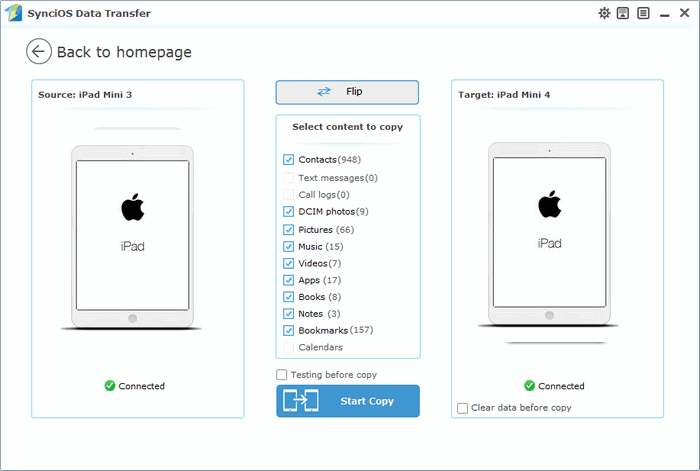 But if you want to find a faster and easier way to transfer your iPhone/iPad/iPod data, then Syncios Free iPad Transfer tool will be a good alternative. Syncios is smarter and more powerful than them. With Syncios, you are allowed to transfer app, music, photos, contacts, movie, ebook and more from old iPad to your new iPad mini 4 for free. Step 1. Install Syncios iPad Transfer. 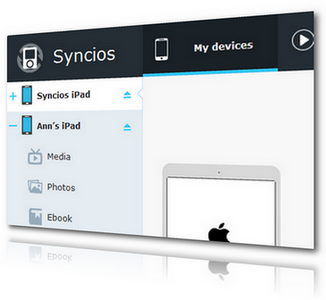 Simply download and install Syncios iPad Transfer to your computer. Notes: please make sure that iTunes has been already installed on your computer for running this free Syncios iPad to iPad Transfer correctly. But you do not have to run iTunes. Stpe 2. Connect Old iPad to PC with USB Cable, and then Run Syncios iPad Transfer. Step 3. Transfer old iPad Files to PC. 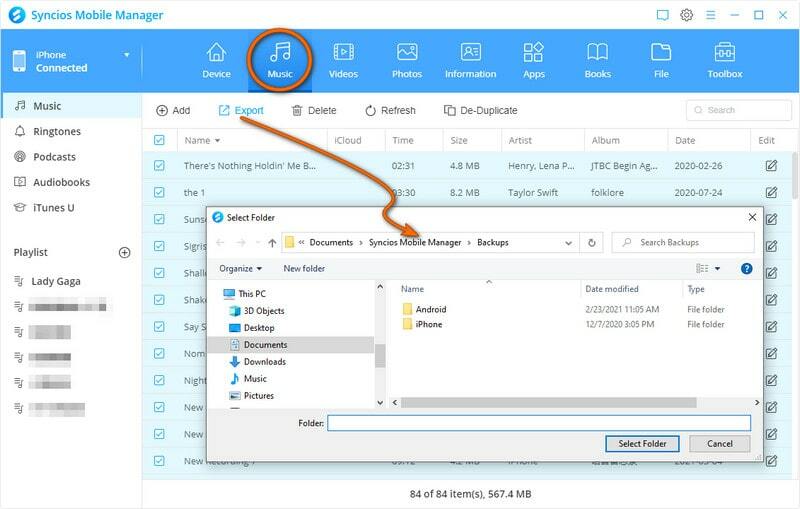 Select file types like Media, Photos, Apps or else under iPad, and then choose files displayed on the main window you want to transfer.. Now, click Export option and choose backup location in your PC. Click OK to backup files from old iPad to your computer. Step 4. Connect the new iPad mini 4 to your computer and transfer the files from Syncios backup on PC to your new iPad. Click Media on the left panel of Syncios iPad Transfer and highlight Audio on the right panel. To import music, you can click Music. Then, click Import button to import music from Syncios backup on PC to iPad Mini. To import videos, you can click Videos on the right panel and then all video files will be listed on the main window, just choose the files you need to transfer and then click the Import button. Now, you can transfer videos to your iPad mini 4. If you want to import an album, click the Import button and find the album folder in your computer and import it to your iPad Mini. Well, if you intend to add some photos, choose an album on your iPad Mini to save the photos from the right. Or you can click New to create one. Open the album and click Import button again. Choose your desired photos and import them. This iPad to iPad Transfer tool also allows you to recover contacts to your iPad Mini 4 from the Syncios backup, Just press Information on the left panel of Syncios, and then click Contacts button. Select Recover option. Now, you can restore the old iPad contacts from Syncios backup to new iPad mini 4. 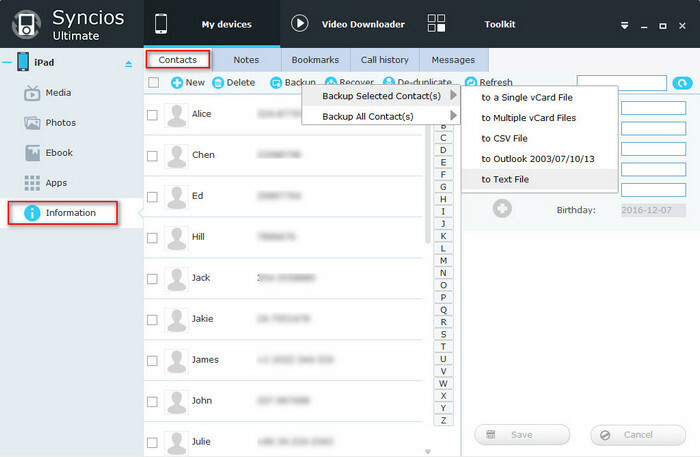 Notes: your can manage your contacts directly via Syncios iPad Transfer. Tips: You can also move data from iPod to iPad or iPhone to iPad. One the installation is completed, launch this Syncios Data Transfer, you can see the main interface of the program. Press Start button under Phone to Phone Transfer to start the iPad to iPad transfer process. Note: Make sure iTunes has been already installed on your computer first. But there is no need to run iTunes. Connect both of your old iPad and new iPad mini 4 to your computer. After those two iPad are recognized successfully by Syncios, the information of your devices will be displayed in the main window. You will see files on your old iPad, just choose the files you need transfer to new iPad mini 4 and click Start Copy. How to convert and transfer music for your iPod?